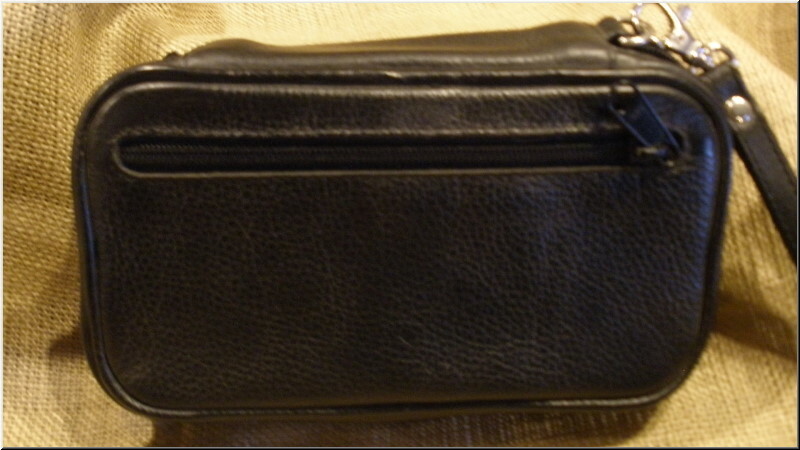 Made in Germany of soft durable leather. 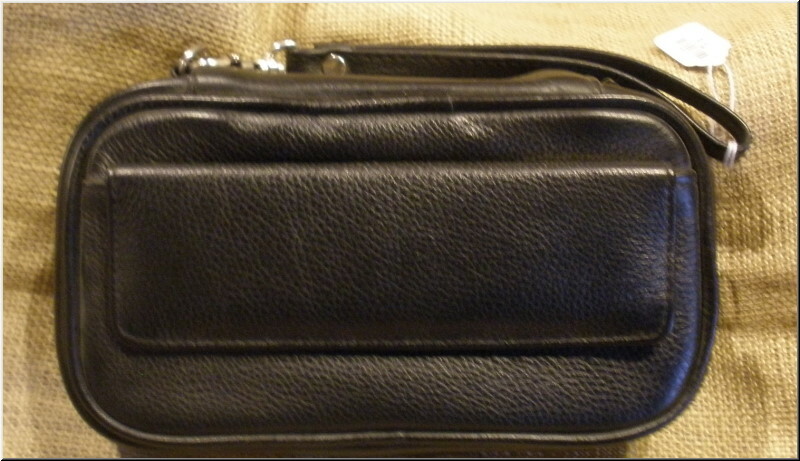 This case has one exterior 2 button pocket and 1 zipper pocket with a wrist strap. 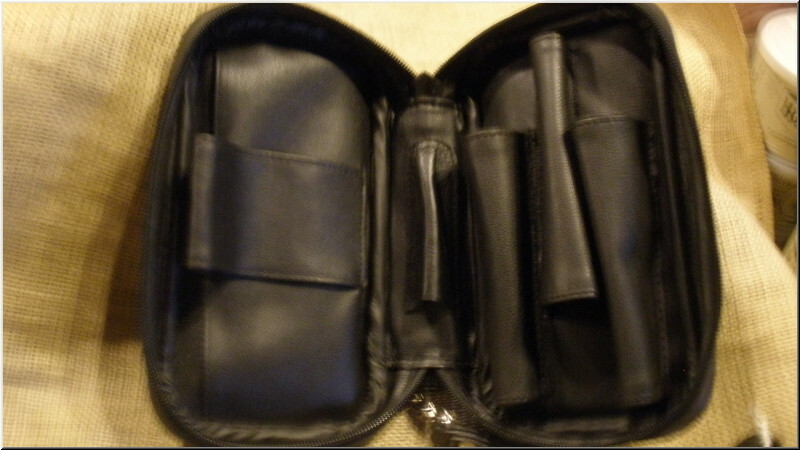 Inside there are compartments for 3 pipes, pipe tool and an open pocket for smoking accessories with an additional strap.